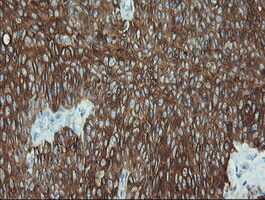 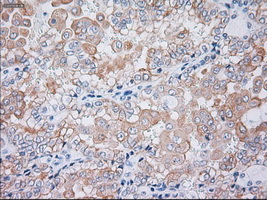 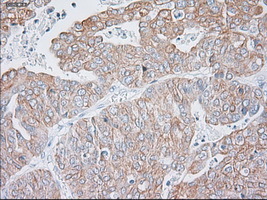 Search for all "Cytokeratin 19"
Mouse anti Canine, Human, Monkey, Rat Cytokeratin 19 OTI3F8. 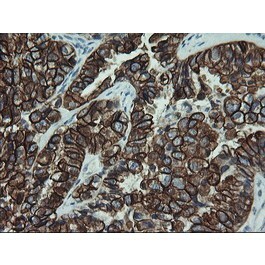 Product is tested for Immunocytochemistry/Immunofluorescence, Paraffin Sections, Western blot / Immunoblot. 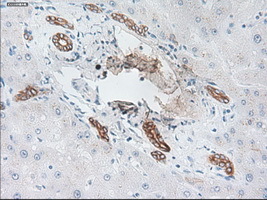 Recombinant fragment expressed in E.coli corresponding to amino acids 240-390 of human CK19. 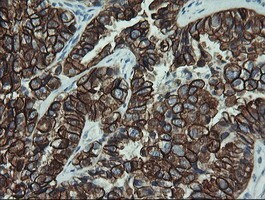 Keratin 19 is a member of the keratin family. 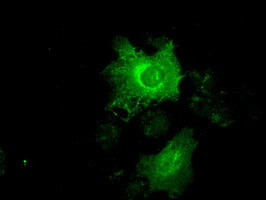 The keratins are intermediate filament proteins responsible for the structural integrity of epithelial cells and are subdivided into cytokeratins and hair keratins. 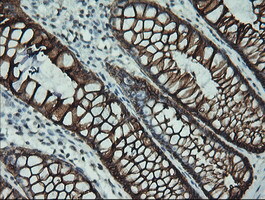 The type I cytokeratins consist of acidic proteins which are arranged in pairs of heterotypic keratin chains. 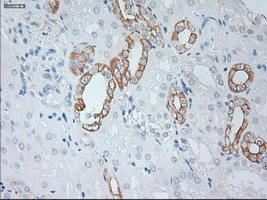 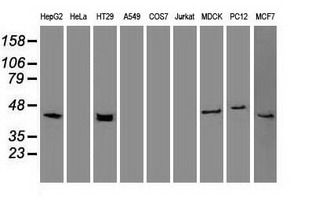 Unlike its related family members, this smallest known acidic cytokeratin is not paired with a basic cytokeratin in epithelial cells. 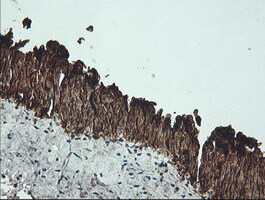 It is specifically expressed in the periderm, the transiently superficial layer that envelopes the developing epidermis.